So it's time for that addition or remodel! Maybe it's a basement, sun room, kitchen, or bathroom. Whatever the need we can help. This page is dedicated to some of the things that you should expect in the course of your project. Bid and Estimating Phase: When you are in the R&D phase of your project is typically when most people secure their bids. A bid should include: payment terms, detailed description of the job and any materials needed, Warranty details, expectations for site access and potential time to complete work. Cullen Electric never asks for money up front unless there is special order merchandise needed to complete your project. That is not the case in 99% of the projects we work on. Permits: are usually required in most jurisdictions and should be offered on any project. RUN from any Contractor that does not want to secure or work under a Permit as this is almost a sure sign they may not be qualified to perform the work to the standards of the Authority Having Jurisdiction in your area. As of 02/2015 all of the Counties in Southwest Ohio are using the 2014 Edition of the National Electrical Code. Demo Teams: (if applicable) will come in and rip out walls, drywall, or any other material that may need to come out to safely and effectively allow for the transition of your space from old to new. Framing: This is normally the first phase after demo if there is no concrete or anything else that needs to be laid for flooring or foundations. 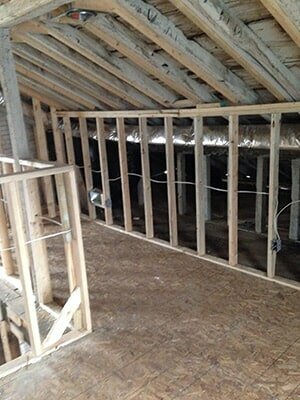 Carpenters will enter and frame out any walls or ceilings as required by your plans. 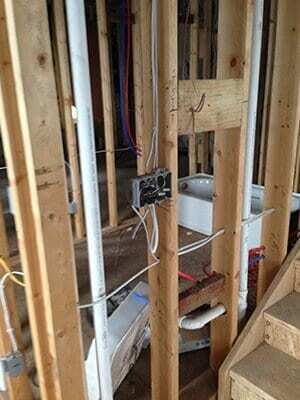 Rough in Electric, Plumbing, and Mechanical: This is when your electrician comes in. 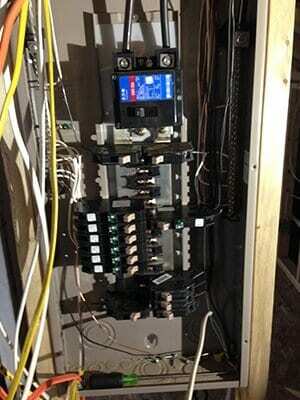 All the wires, device boxes, home runs to the panels, can light setting and switch wiring is installed. This is normally the longest most difficult portion of the installation. 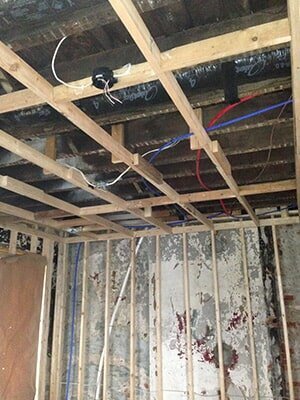 Make sure you have all of your mechanical, electrical, framing, and plumbing rough in inspections done before having the drywall installers come in! It is no fun ripping out drywall so the County Inspector can look at something that wasn't inspected before the fact! 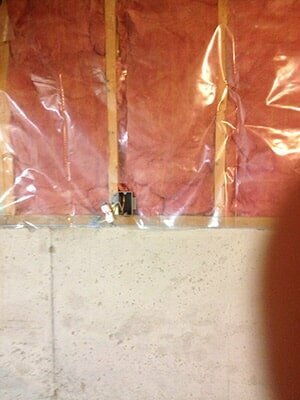 Make sure your insulation is in and inspected with the fire block in the right places before hanging that drywall! 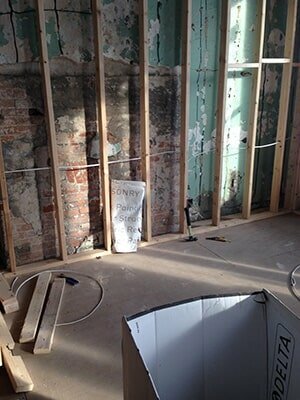 Drywall hanging, trim, paint and flooring are normally the next steps in the Construction process. Finish Work: When all of the paint is dry and the floors are in usually the electrician comes in to hang fixtures, install outlets, wire appliances, install switches, install lamps and can light baffles or ceiling fans if applicable. Normally the homeowner supplies the fixtures since tastes are as varied as there are grains of sand on the beach! We will be happy to offer our expertise in the design process as well as the best types of lighting and devices to complement your project! Can Lights Installed! Lighting the way to your future enjoyment in your new addition!